Lidl will make its biggest ever one-year investment in the Republic when it begins work on a new €200m (£177.3m) development programme. The discount grocer, which is now Northern Ireland's fastest-growing supermarket with a market share increase of 5.7%, is set to build a brand new €80m (£70.9m) distribution centre in Co Kildare and invest heavily in its store network. Construction on the Newbridge distribution centre begins next month and will be completed in 2019. 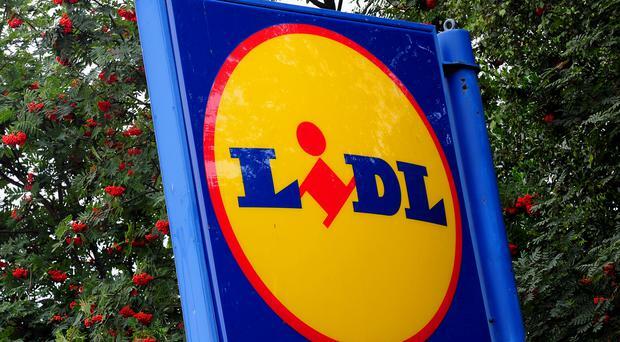 Lidl is expected to employ up to 2,000 construction workers for the project. And the investment will give way to 100 new permanent jobs when the warehouse is fully operational - adding to the 250 members of staff already working there. Construction of at least seven new and "knock and rebuild" stores will also take place throughout the year in the South. Lidl, which has 39 stores here, entered the Irish market almost 20 years ago, and has succeeded in growing its share of the sector on both sides of the border. It recently claimed that it was the "fastest-growing supermarket" over Christmas after booking record festive sales. Last month Lidl Northern Ireland managing director JP Scally said: "Lidl Northern Ireland has had a fantastic 2017 and this was capped by our strongest Christmas trading period to date since entering the market in 1999." He added that the outlook for Lidl this year was "very positive". "A number of construction projects will future-proof our business and provide much needed support for our growing store network," Mr Scally explained. "Lidl Magherafelt will be replaced by a new concept store at the end of February, which will boast a new design and spacious layout incorporating wider aisles as well as modern staff and customer facilities."